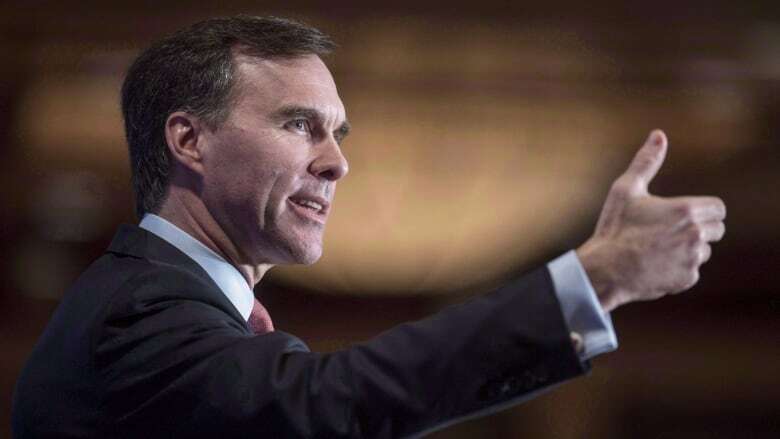 When Finance Minister Bill Morneau delivered his fall economic statement, much of the fanfare focused on the deficit, the infrastructure bank and efforts to attract foreign investment. Something else caught the attention of a select group of people — mainly women — that Morneau never mentioned in his speech. "To ensure that the government continues to deliver real and meaningful change for all Canadians, it will submit Budget 2017, and all future budgets, to more rigorous analysis by completing and publishing a gender-based analysis of budgetary measures," said the statement released Nov. 1. That one sentence, virtually ignored by the rest of the country, caused a flurry of excitement for those whose work touches on issues affecting women and girls. They are now anxiously awaiting the results of the commitment, and there are some signs of movement. "It's historic and it's important, but there is a lot of work to be done," said Kathleen Lahey, a professor of tax law at Queen's University. Trump, Trudeau to discuss women in workforce in D.C. The idea behind gender-based analysis is to think about how a certain policy might affect men and women, or boys and girls, in different ways, along with taking age, income, culture, ethnicity and other intersecting factors into account. If the analysis — ideally done early on in the process — reveals one gender would experience disproportionately negative impacts then policy-makers have the opportunity to reshape things or otherwise mitigate those effects. Conservative leadership candidate Maxime Bernier reacted strongly to the idea Monday. "More identity politics nonsense from those who want bigger and more interventionist government pandering to every subgroup of Canadians," Quebec MP posted to Twitter. Isabella Bakker, a political scientist at York University who has done research on gender budgeting, said the process is actually good for the economy. "There's a lot of economic good sense to doing a gender-based analysis of budgets, because basically what you're doing is targeting your policies more effectively," she said. "So, you're asking who is using these services and how are we meeting the needs of the most marginalized?" There are many different models around the world, but one example of what might be included would be a look at how a tax measure — be it a cut, a hike or a credit — could impact men and women differently based on the fact that a higher percentage of women do not earn taxable income. It could also involve viewing infrastructure spending through a gendered lens, both in terms of how men are more likely to benefit from the creation of construction jobs and how women are more likely to be the ones to use the infrastructure once it is built. And then there is the matter of including things specifically aimed at reducing gender inequality, be they relatively inexpensive initiatives aimed at reducing gender-based violence or massive programs aimed at increasing participation in the workforce, such as child care. Armine Yalnizyan, senior economist at the Canadian Centre for Policy Alternatives, said a federal budget that is truly gender-responsive needs to take this holistic approach to reducing gender inequality. "They have to watch what kind of narrative they develop around growth, or else it is going to sound tone-deaf," she said. "'We need you to work because we need more money.' I'm sorry, that's not gender-responsive. That's gender-exploitive." Prime Minister Justin Trudeau, who has proudly declared himself to be a feminist, is said to have pushed for more rigorous gender-based analysis around the cabinet table — helped along, several senior sources have said, by Labour Minister Patty Hajdu, who was until last month the minister responsible for status of women. They have a lot of catching up to do. Ottawa committed to using gender-based analysis in 1995, as part of ratifying the UN Beijing Declaration and Platform for Action, but the auditor general revealed last year that relatively few departments and agencies were using it to its full potential — or at all. The commitment to incorporate gender-based analysis into the federal budget could be seen as the next natural step in that process. But no Canadian finance minister has ever agreed to do it before and experts describe it as an ambitious — even if long overdue — goal. The Liberal government, therefore, is already moving to manage expectations. On Friday, Status of Women Canada and the Department of Finance gathered a few stakeholders in Ottawa to discuss their approach to the commitment. "They really stressed that this was a very first step," said Diana Sarosi, senior policy adviser at Oxfam Canada, who as at the meeting. Four people who took part in the discussion told The Canadian Press that officials said to expect an annex, or supplement, to the 2017 budget document that sets the stage for the year ahead. They said that would include assessment of the current landscape regarding gender equality in Canada, some gender-based analysis of last year's budget, a look at the gender impact of some of the themes in this year's budget and goals for deeper analysis for 2018. Annie Donolo, a spokeswoman for Morneau, said the government would have more to say on budget day. Bakker said they should not be expected to hit the nail on the head the first time. "I think it would be kind of unfair to expect them to do something that is at the highest level of public finance reform, because it's pretty sophisticated to try and do this," she said.